Amplify your time and your results. Experience high-intensity interval training at its best by burning 700 to 1,000 calories in just 50 minutes! Never yawn during a workout again. 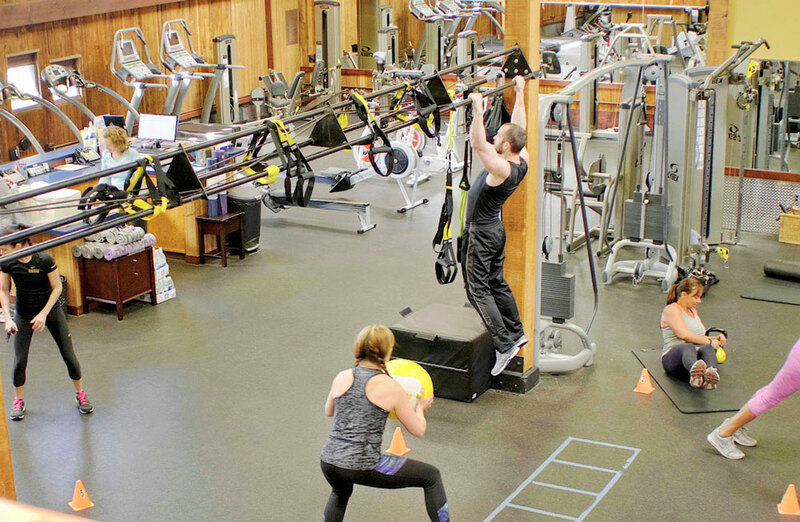 HSPFit challenges both mind & muscle with invigorating, full-body interval training. Maximized fat burning + functional strength development = a sweat session you’ll look forward to…and won’t forget. Burn 700 to 1,000 calories in just 50 minutes! Don’t be scared to load on the lbs. We’re here to guide you with proper form in this energizing team training session. Train like an athlete, leave a beast. This dynamic 50-minute workout combines athletic aerobic movements with strength and stabilization exercises. Elevate your workout to a whole new level with this circuit-style programming that utilizes equipment from Total Gym and emphasizes total body conditioning. This class is designed with the core in mind, but will target your major muscle groups from head to toe. A firm foundation equals a better practice. During timed intervals of basic movement patterns, you are in control of the overall intensity. Being able to visually see your own data means you can identify patterns during your workouts to reach the ultimate target heart rate zone that delivers results. Getting the most out of your fitness routine has never been more fun! Come experience High Intensity Interval Training (HIIT) in Humboldt County’s first-ever technology-driven, sweat-inducing, Small Group Training workouts. MX4 is a small group training program that follows a unique model ensured to deliver results! Each week is differentiated by changes made to exercise selection, tempo, load and intensity, so you will never get bored. Come feel what this challenging workout is all about and see the results for yourself with the incorporation of our heart rate-based supported technology. What do you get when you mix the WaterRower machine with functional strength training stations? A sculpting, push-yourself-to-the-limits circuit workout that delivers extreme results. All you need is 30 minutes to leave your body burning (and begging for more). Torch away calories before you even realize you’re out of breath with this high-intensity interval training program. It’s a lot more than a yellow, funny looking contraption. Suspension training builds overall strength, balance, and flexibility. W.O.D. is all about learning to execute movements that directly translate to speed, agility, and power. This type of training develops age-appropriate skills by learning safe techniques for olympic and power lifts to unlock the bodies fullest potential. HSPFit also incorporates a variety of FUN & UNCONVENTIONAL equipment. No more boring hours staring at the display on a treadmill or elliptical! There’s an option out there for everyone. Give it a try, and start to see noticeable differences in your overall fitness! We’re here to show you the way & to make it a fun journey.